Happy 4th of July Week! I hope that this week finds you enjoying family & friends and celebrating with fireworks or campfires, whatever makes you happy. 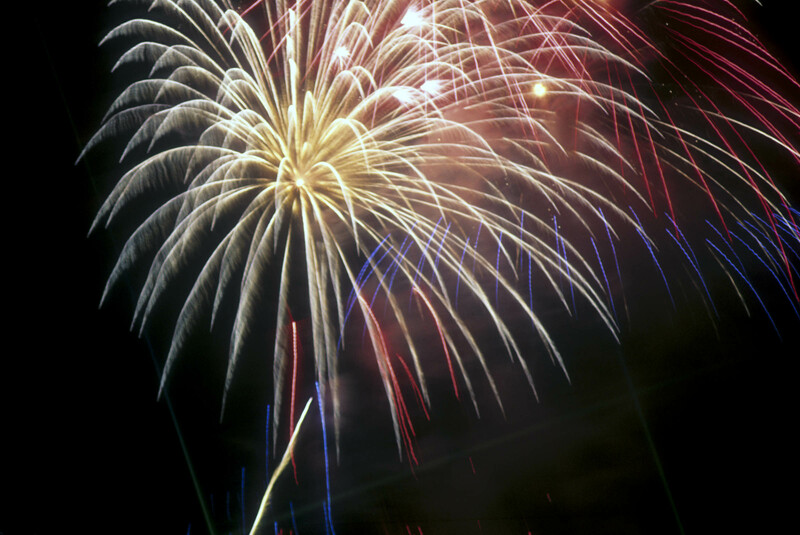 I love 4th of July – it will be a nice day off for us as a family and we’ll spend our second summer watching fireworks on a Lake Erie beach, enjoying the water, sand and skyline. We’re half-way through 2014 and this year has been a doozy in the Humphrey household. When I sat down at New Year’s to write my goals out for the year, I never imagined that I would be sitting here in July with a different teaching job awaiting me in August, a new job in the health & fitness field, our house on the market and Phil in a new job as well. We’ve faced a number of challenges this year, but I’m proud of the growth we’re working on as a family. I’m also working on my Word of the Year goal, which was “explore.” I feel like I was on track with this word, but in ways different than what I initially expected. Most of my exploration has been inward, not outward. I dug deep this year and made a difficult decision to leave a job that was no longer serving me, no longer giving me the satisfaction that it once had. Let’s peak at my bucket list progress & I’ll show you what else I’ve explored…..
First Olympic distance triathlon in August. Progress: Training is on track. It’s still the swim that terrifies me the most, but my new bike has given me confidence and my running has been on point. The good news – it’s only 3/4 of a mile that I have to swim, not the whole darn thing. PR in the Rite Aid Cleveland Half Marathon. Progress: Nope. Didn’t happen. My IT Band injury was still such a hindrance that I skipped this race all together. Broke my heart, but the good news is that I’m healthy now and have 2 half marathons in the calendar for later this year. Not sure if PR-ing is in the cards this year, but I’m thrilled to be running at all. Sing karaoke. Progress: None. Help a sister out and drag me somewhere to sing. Sky dive-preferably with Phil, but I’ll go alone if need be. Progress: I’m hoping that this experience can be my birthday gift, to me and from me this year. October would be an incredible time to see Ohio from above. Line dancing. Progress: No country line dancing, but I have learned to do the Wobble. Just one more ace in my wedding dance pocket. Race my kayak. Progress: Did it! 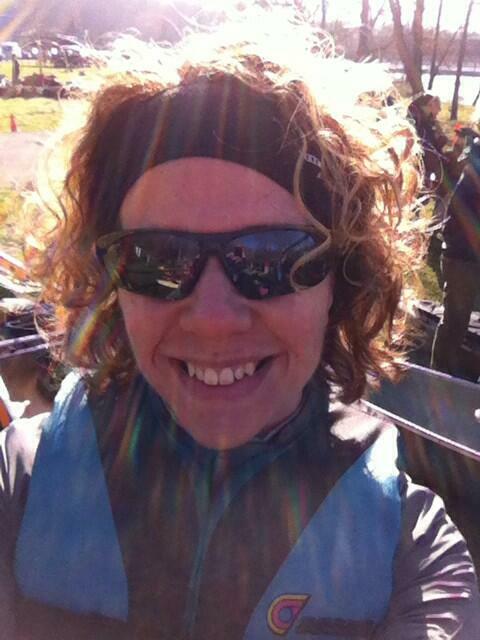 Completed the Grand River Canoe & Kayak race in April. 9 miles! Had a blast and will definitely do this in the future. Hot air balloon ride. Progress: This one might not happen. I saw that horrifying news story of the two people who died in an air balloon accident this year and may have to wait to summon more courage for this goal. Boxing. Progress: None. Will. Box. Some. Day. Camping on the beach. Progress: Working on it. Can something. This one was on the list last year and I’m bound and determined to make it happen this year. I’d really like to take our strawberry harvest and turn it in to homemade jelly and can it to use throughout the year. Progress: Not yet, but the summer is young, my friend! Take Hannah to her first live concert. Progress: Tickets for Katy Perry are purchased & we will see her in Cleveland in August! I’ve decided that I want to get my certification to teach group fitness classes. Progress: Straight killing this goal. 1/3 of the way done with my Yoga Teacher Training! Hope to complete certification for my 300 hours this fall. This is the goal I’m proudest of, the bar I set the highest and I’m so, so, so happy to say that I’m reaching it. And you? Did you set goals this year that you’re still working on? Do you stop and reflect mid-year to see how you’re doing? I’d love to hear about how you check in with yourself.